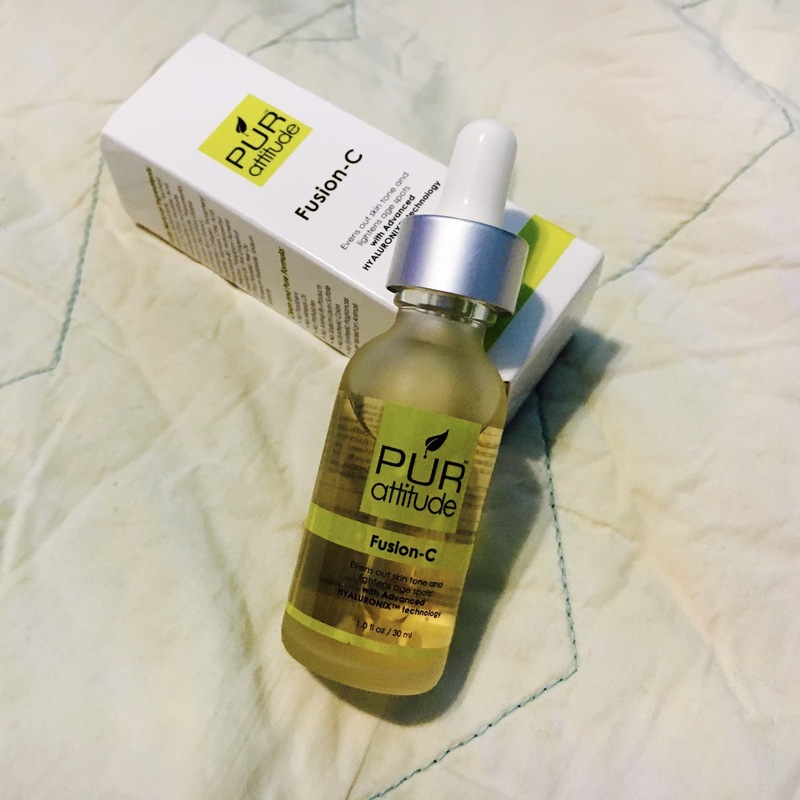 PUR attitude sent me a sample of their Fusion-C Brightening Serum to try out for my honest opinion. As you may remember I'm getting up there in age, I mean I'm 34 now, thankfully I don't look it (do I?) but even better now I won't have to worry about looking older thanks to PUR attitude. Their beautiful and delicious smelling line uses their own patent-pending technology to combine essential vitamins, anti-oxidants, and nutrients in their innovative soap-free skincare line. With their lovely Fusion-C Brightening Serum, you can help to improve your skin and keep it looking you. It smells wonderful thanks to the licorice root, plumeria, and grapefruit peel oil in the ingredients, and feels great going on the skin. It's an essential step in your skin regimen for improving your skin's firmness and looking younger. This serum helps to improve the look of fine lines and wrinkles, lightens age spots and smooths out discoloration and skin texture. All in all, I'm loving this serum I would definitely recommend it, and it's great for my sensitive skin. Bonus points it's coconut free!